As I was scrolling through my Instagram feed this week, I heard my one of my mom’s “momisms” in my head. Stop wishing your life away, I heard her say. She’d pull out this phrase of wisdom when I was going through a tough spot and just wanted to be on the other side of it. I can’t wait until spring break or I can’t wait until this semester is over, would ultimately be met with stop wishing your life away. While I think mom’s main aim was to get me to stop complaining, now that I’m older I think she was onto something. If I’m constantly wishing for the next thing, I’m in essence wishing my life away. What’s more, I’m missing out on the good stuff that’s happening right now in the midst of whatever it is I want to get through. Which brings me back to Instagram. As I was scrolling through my feed last week, it seemed as if every other post was someone wishing winter away. Now I know winter is long, and dark, and cold, but there’s a lot to love about it, too. I’ve always been pretty tolerant of winter, having grown up in Michigan. Cold weather just feels like home. 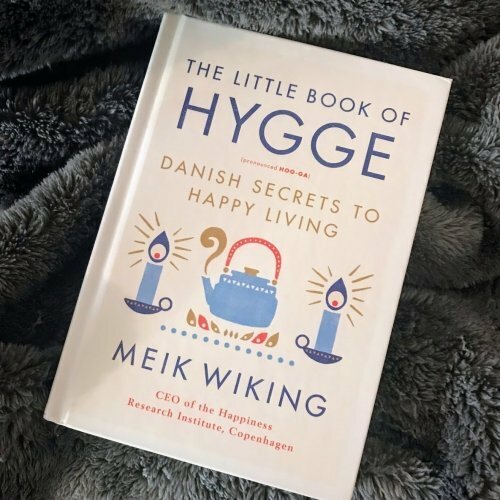 But this year, I’m enjoying winter even more thanks in part, to The Little Book of Hygge. I got this book for Christmas and read it the same day. (I loved it that much!) It’s loaded with Danish secrets to happy living. Now if the Danish can find a way to be happy in the winter, well, that’s pretty inspiring. Certainly the rest of us can find a way to enjoy winter instead of wishing it away. Right? If you’re finding it hard to get through winter, and find yourself wishing a piece of your life away in the process, pick up a copy of the book. Or give these ideas a try and start enjoying winter now. Light up the darkness. For me, the darkness of winter is the biggest challenge. It’s hard to get home from work and walk into cold, dark house. This year as we were putting away our Christmas decorations we decided to keep the lighted garland on the mantle. It’s amazing what a difference this has made. Instead of walking into a completely dark home, the lighted mantle greets me each night when I get home. If your Christmas lights are already put away, tuck this idea into your back pocket for next year, and instead, pull out a bunch of candles and light them every chance you get. Go outside, especially if it’s sunny. I love bundling up on a cold day and going for a run. Sounds crazy, but I’m really only cold for the first few minutes. After that, it’s just great to be outside, breathing in the crisp, fresh air. If you aren’t a runner, no worries, you’re not off the hook. Winter walks outside are great too, especially after a fresh snow. Just pull on the layers, wooly socks and warm boots, and see how your perspective on winter changes simply by getting outside. Or, enjoy the excuse to stay inside and relax. Schedules tend to slow down this time of year. Take advantage if it by giving yourself permission to slow down and do something really relaxing like reading a book, playing a board game with your family, or taking a nap. When summer comes there will be a million things you want to do outside, so the luxury of downtime will be a lot harder to come by. Which leads me to my next idea. Tackle your to-do list. Why wait until spring to do your spring cleaning and organizing? If you jump on these tasks now when spring comes these tasks won’t be calling you to stay inside. Plus, active tasks like organizing and cleaning get you moving, which will warm you up. A win-win, right? Create warmth. For me, the hardest part about winter is feeling cold nearly all the time, whether I’m inside or out. What’s my fix? 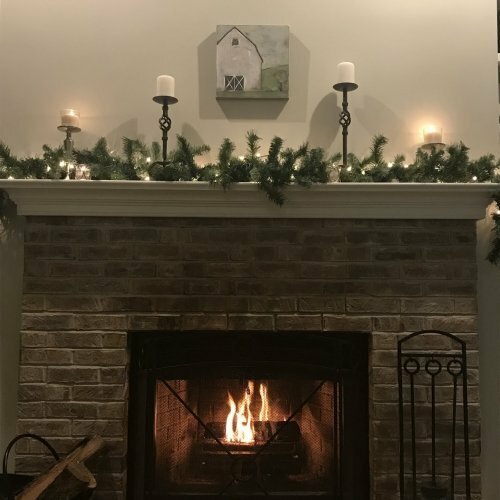 When I’m done warming up by checking things off my to-do list, a crackling fire in the fireplace, wooly socks, a fuzzy blank or a hot cup of tea is sure-fire way to chase the chill away. So there you have it, six simple ideas to help you stop wishing winter was over already. What ideas do you have to add to the list? Thanks for sharing! I don’t get long winters now that I am back in Australia but the candle idea saved me when I lived in Minnesota! I bought those battery operated candles that have 5 hour timers on them and had them sprinkled all through our house. I loved their flickering warmth when the dark started to descend – it really made all the difference on those long dark nights. I love that book too! I have the same issue with being cold all the time. My solution is a series of artificial heat sources, scattered around my life. Costco heat dish the kitchen, electric throw in the family room, heated blanket in bed, set warmers in the car, etc. For Christmas, my future son-in-law got me a handheld, rechargeable handwarmer. It is awesome. Great tips! I live in North Dakota and winters are LONG! I catch up on audio books and crochet a lot! I’ll be sharing this with my community! Throughout the winter months, there s no need to hibernate! It s possible to stay active and exercise. Experts recommend that you exercise for at least thirty minutes, five days a week. However, even five or ten minutes of movement a day can help with weight loss, improving your mood, and increasing your heart health. So, remember your goals for exercising, grab a partner, find an activity you enjoy, and get moving! Bring fitness indoors. During the winter months, you may not be able to exercise outside, but there are many ways to stay active and warm. You can walk laps at the mall, take a fitness class at the gym, join a community dance class, lift weights, work out to a video at home, or even just dance. The most important component of an exercise program is finding something that you enjoy. If you re having fun, you will be more likely to stick with exercise.